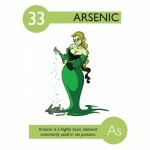 Tired of the same old periodic table? Want to breathe some fresh air into the stale old chemicals? That’s is exactly what animator and illustrator Kaycie D. decided to take on a massive character design project. In her thesis project- titled Elements – Experiments in Character Design– at Milwaukee Institute of Art & Design, Kaycie decided she would design a character based on each of the known chemical elements in the periodic table, until she had a complete world of science-inspired cartoon characters. 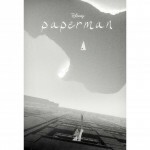 Disney short and Oscar contender Paperman has hit the Internets. Yesterday, Disney released the full short, uncut, on the Internet on Huffington Post and Youtube. Directed by John Kahrs, the film is important because it combines the art of hand-drawn, 2D animation with the quality of computer animation seamlessly. 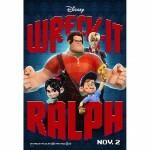 The short made it’s theatrical debut paired with Wreck-It Ralph on November 2, 2012. Blue Umbrella serves as cover for Monsters U. 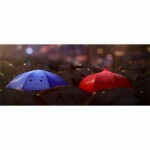 To be released just before the new feature film Monsters University on June 21, the six-minute short Blue Umbrella will be the first Pixar film to be made by one of its technical artists. 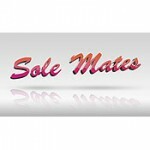 Vancouver-based Bron Studios announced Tuesday that it is making its first CG-animated feature film, Sole Mates. 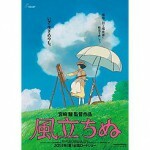 Japanese animator Hayao Miyazaki’s first film in five years will come out next year, distributor Toho announced Thursday. Miyazaki will release wartime romance Kaze Tachinu, based on the novel of the same name, usually translated as The Wind Has Risen. “ParaNorman” was named Best Animated Feature of 2012 by the Washington, D.C. Area Film Critics Association on Monday morning. The movie defeated fellow nominees Brave, Frankenweenie, Rise of the Guardians and Wreck-It Ralph. Disney’s “Wreck-It Ralph” has been named Best Animated Feature of 2012 by the National Board of Review, the Board announced Thursday. 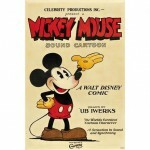 Believed to be the earliest known poster of the world’s most famous mouse, a 1928 movie poster of Mickey Mouse sold Thursday for over $100,000, Dallas-based Heritage Auctions announced. 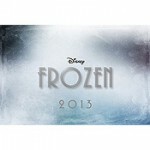 Walt Disney Animation Studios announced Thursday that it has tapped Jennifer Lee to join Chris Buck at the helm of its 53rd full-length animated feature, Frozen, which is slated for the big screen on November 27, 2013.